The Catholic Charities Wellness and Resource Fair is put on by the Catholic Charities, Archdioses of San Antonio, Inc. 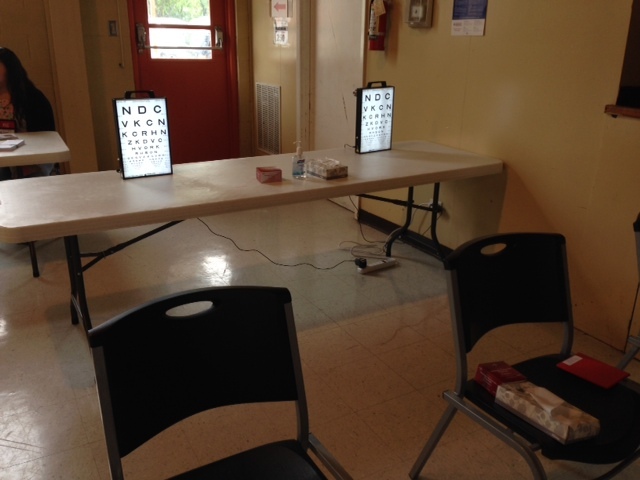 The UIWRSO vision screening took place during the fair on Saturday, April 5, 2014 from 9am-1pm. Free services included: eye exams, Diabetes, blood, and cholesterol screenings, kidney health screenings, mammography screenings, drug consultation, and ask a doctor/nurse. All the volunteers loaded into the school van and we put all our equipment in the back. We drove to the Holy Redeemer Catholic Church at 1819 Nevada Street, San Antonio, TX. The church was right in the middle of a residential area and most of the people in the neighborhood attending the health fair also go to church there as well. It was a festive environment with music and food in the air. Zumba was danced outside while we started setting up inside the church. The staff was extremely helpful and provided us with extra tables and space! 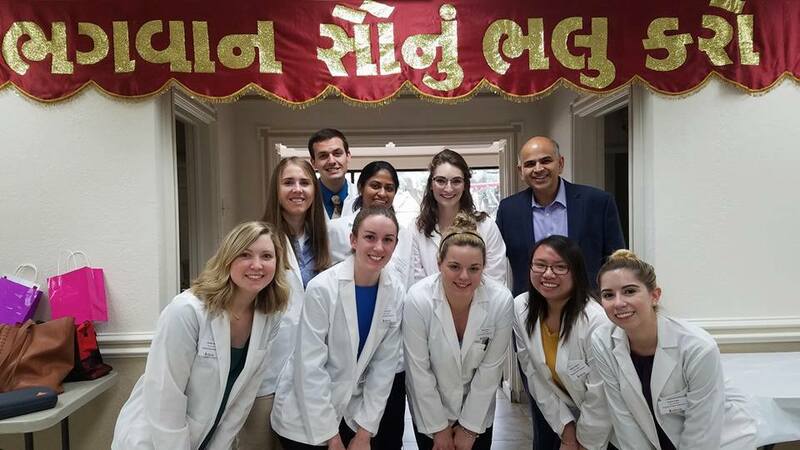 To optometry students, a health fair is usually time to work a vision screening, but on this occasion I had some time before the fair to walk around and talk to the other providers participating. 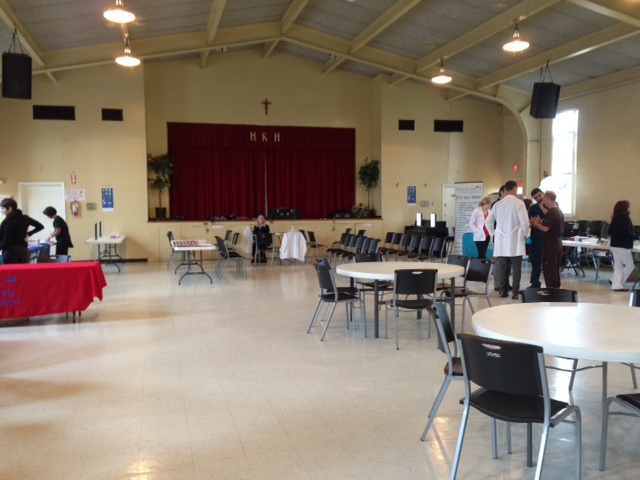 The dentists and dental hygienists perform free teeth cleanings for the community. I got a goodie bag from them with toothpaste and toothbrush inside, woohoo! The nurses performed mammography screenings and demonstrated proper techniques for a self-exam. Some of the optometry students got their fingers pricked to check their cholesterol and sugar levels. 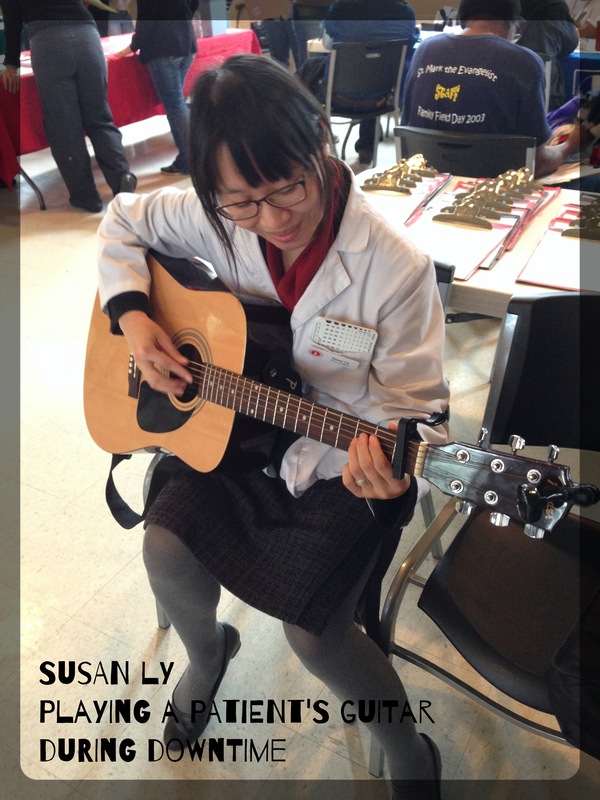 I had the pleasure of visiting with Dr. Cynthia Nguyen, Assistant Professor at the UIW Feik School of Pharmacy. The volunteers at the pharmacy table educated the attendees about the drug labels and different types of drugs media, for example, you must shake suspensions drugs (vigorously), while solutions do not require shaking. This reminded me of class and I remembered how some patients do not shake their glaucoma suspension eye drops enough; hence, they do not get the therapeutic dosage until the end of the bottle. It is always amazing how a simple vision screening can keep so many people healthy! It is at these fairs that I learn more and more about other health professions and only then can I further appreciate their work. I also feel more confident in whom to refer my future patients to, because I know more about their scope of practice. I also talked optometry to the other providers and educated them on the benefits of a screening versus a full eye exam. I hope that through our communication at small health fairs, like this one, can lead to a better and integrative health system. At Kona Grill. 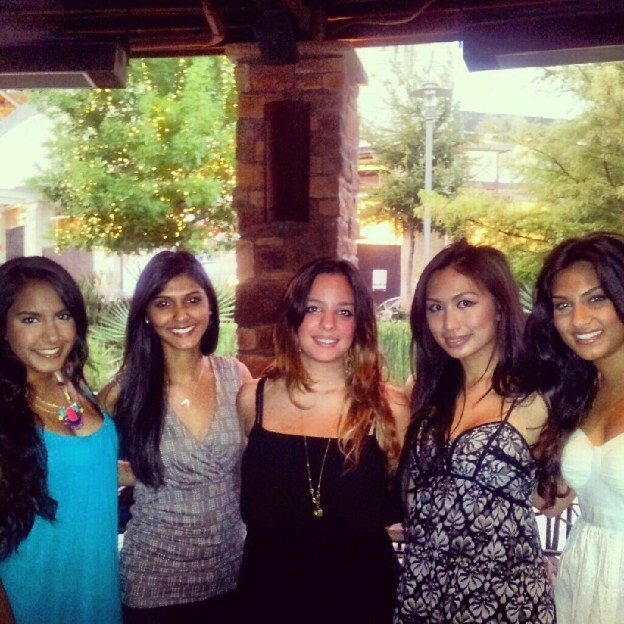 From left to right: Nandi (Anjli Jasrotia’s little sister from Dallas); Riddhi Desai, ’16; Me (Neda Esmaeili) ’15; Diana Truong, ’15; Anjli Jasrotia, ’15. A couple of weeks ago, a few of my classmates and I went to a nearby restaurant called Kona Grill. It is located in this really nice outdoor shopping mall called La Cantera. They have a happy hour menu that includes yummy appetizers and dishes for amazing prices–perfect for a student budget! This year, UIWRSO started this program called Big Sib’ Lil Sib’ which arranges us with first year students so we can help them out with questions and someone who is familiar with the school and the city. I decided to invite my Lil Sib Riddhi Desai out with us so I could get to know her better and help her bond with some other people at our school. It turned out to be lots of fun. I always love an intimate gathering with great food…not to mention the great shopping! Another really cool thing we did today was help out at a vision screening. Vision screenings are mandatory as second years here at UIWRSO. 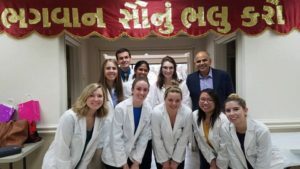 It prepares us for dealing with real-life patients and is a precursor to working in the clinic as an intern. We were at St. Gregory the Great Catholic School and we screened 8th graders. They are super adorable by the way! I was excited to put a few of the skills I have learned in lab to good use and help out. At this weeks vision screening. Left to right: Neha Jhawar, ’15; Samantha Giang, 15′.